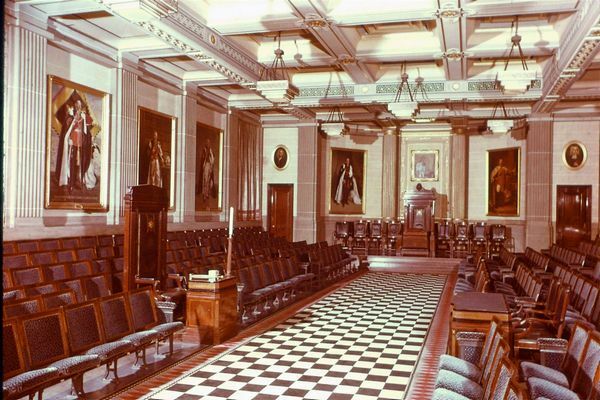 The lodge recently came into possession of a set of slides taken at Freemasons’ Hall, Great Queen Street, London, somewhere around 1972. The quality of the slides has deteriorated slightly, despite some digital enhancement, but they still show the building very well. 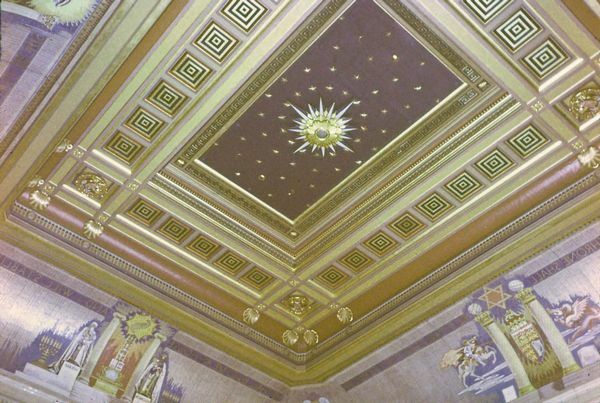 Freemasons’ Hall was funded by Masons after the First World War, as a memorial to the many Freemasons who died on active service. 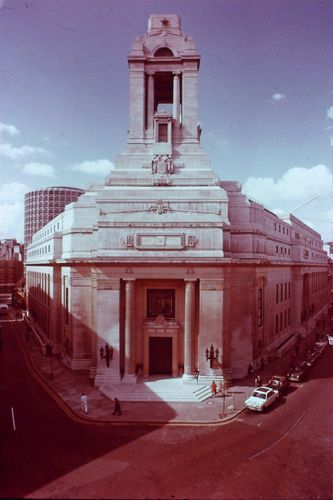 Built between 1927-1933 at a cost of £1 million, it was initially known as the Masonic Peace Memorial, but reverted to the name Freemasons’ Hall at the outbreak of war in 1939. 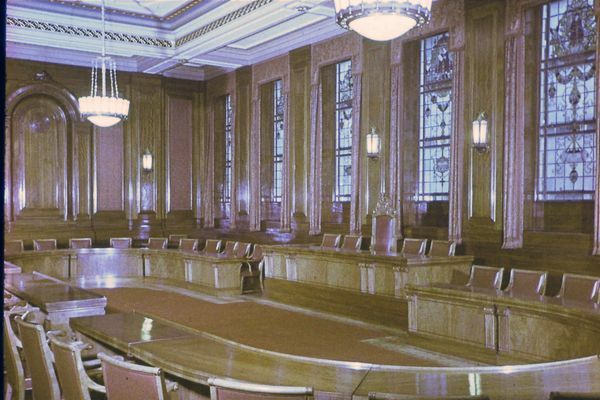 It is now acknowledged as one of the finest Art Deco buildings in the country and is Grade II* listed. It frequently features in films and television productions. It also hosts external events, most notably being part of London Fashion Week. The Library and Museum are open to visitors daily. Conducted tours of the building are also available when the building is not being used by other events. Exterior, showing the south-west Memorial Tower, standing 156 feet high. The Grand Temple in the centre of the building. 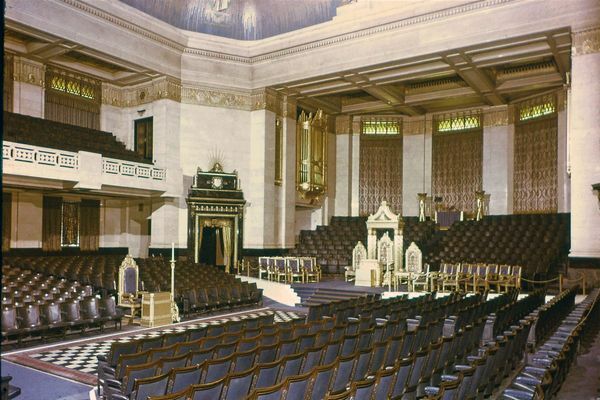 Seating 1700, this view looks across to the Grand Master’s throne. Part of the ceiling in the Grand Temple. 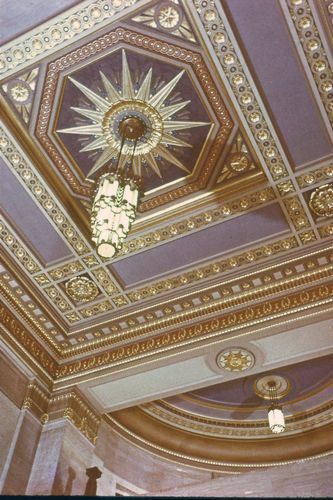 The vestibule ceiling outside the entrance to the Grand Temple. 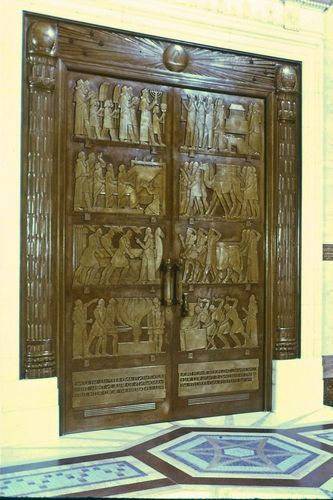 The bronze doors at the entrance to the Grand Temple. Each weighs one and a quarter tons, with panels depicting the building of King Solomons’ Temple. The doors are balanced on oil baths and move with only the slightest pressure. 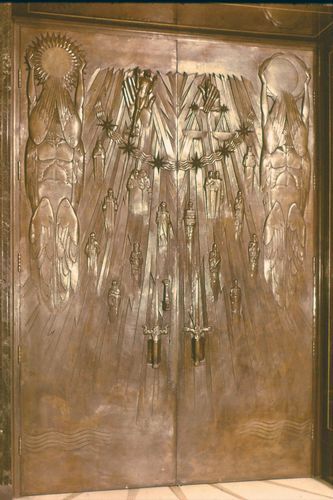 The inside of the bronze doors. 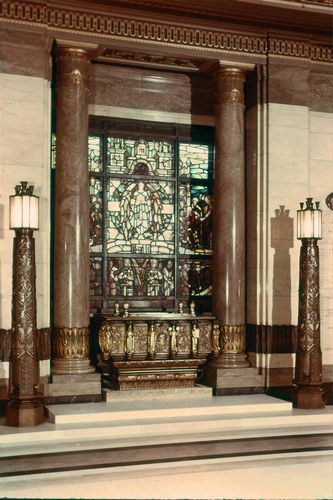 Memorial window or shrine. The bronze vessel beneath contains a scroll recording the names of those Masons lost in the First World War. Lodge Room No. 1, seating around 500. 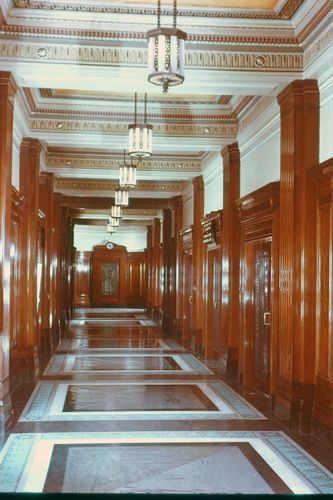 Processional Corridor, where procession are marshalled prior to entering the Grand Temple. 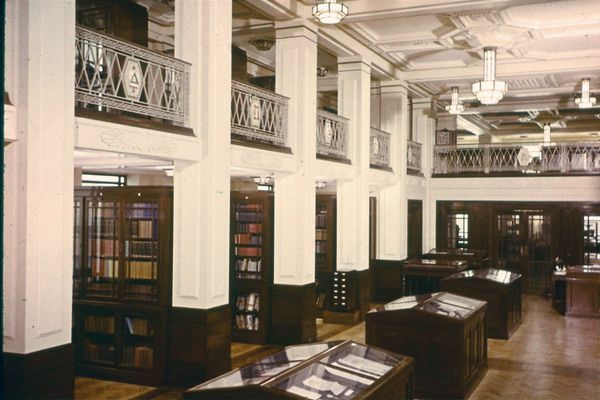 The Library, with a large collection of books on masonic and social history.